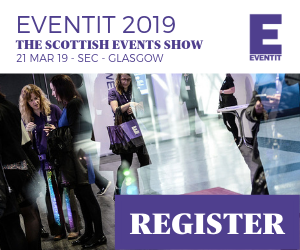 Edinburgh has secured five “large-scale” business events which are set to deliver 3,400 delegates and £7m in benefits to the local economy, according to new data released by the city’s convention bureau. Convention Edinburgh – in conjunction with its members – released details of the conferences today and described the bid wins as a “solid start” to 2017. Recent confirmed wins include the European Group for Organisational Studies Colloquium (EGOS) taking place in July 2019 with 1,200 delegates expected and bringing a total of £4M in economic benefit to the city. In April 2018, the International Research Society for Public Management (IRSPM) will host their 22nd annual conference in Edinburgh, bringing £732K to the city with 600 delegates. On a similar scale, Eurocities will host its conference in November 2018 bringing 500 delegates and £977K to the economy. Lesley Williams, Head of Business Tourism at Convention Edinburgh said: “We’re off to a really strong start for 2017 and can only see this strengthening over the remainder of the year. 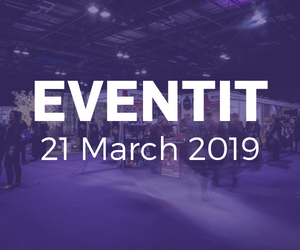 Despite challenges and uncertainties brought about by Brexit, it’s great to see Edinburgh consistently attracting high-profile events and conferences. The city is truly cementing itself as a global competitor. Edinburgh is currently ranked 35 in the world’s city rankings by International Congress and Convention Association (ICCA) and a member of BestCities Global Alliance. The city relies heavily on its flagship venue – the EICC – but many of its historic buildings are in the process of becoming more event friendly; recent developments include the revamp of Edinburgh First’s McEwan Hall, part of the University of Edinburgh, which is undergoing a multi-million-pound renovation to transform the historic venue, and is due to re-open this summer. £25M is also being invested to revamp the 1935 bandstand in Edinburgh’s West Princes Street Gardens to create a 3,000-seat concert and event venue space with a new pavilion, café and visitor centre that will be completed in December 2019.